Confused? Give us a call. Need Help Choosing Your Radiator Size? Use our Basic Heat Calculator to give a rough estimate of the heat requirements for your room. 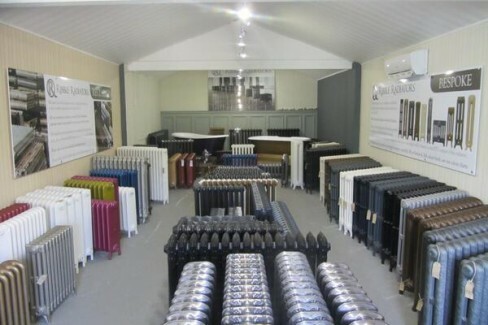 The centrepiece of our four-acre site at Ribble Radiators is undoubtedly our stunning showroom that attracts visitors from across the UK. It features a number of both reclaimed and reproduction cast iron radiators in vintage and contemporary styles, ranging from simple designs to those with wonderfully ornate attention to detail, evoking patterns and finishes from the late 1800s. 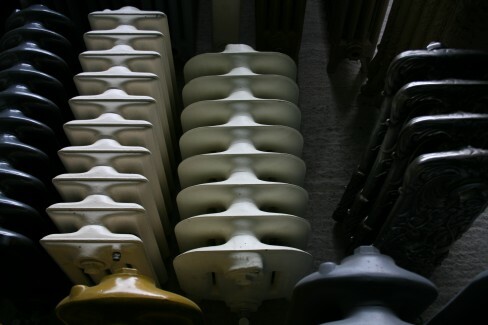 With over 20 years’ experience in the reclaimed and reproduced cast iron radiator space, we have a firm grasp of the marketplace and our total control over sourcing, salvage, restoring, painting and finishing enables us to offer the finest authentic cast iron radiators in the UK today – and you can see for yourself by visiting our well stocked showroom. The showroom contains a vast array of cast iron radiators ready for purchase, each with their own individual intricacies and character, including the Antoinette, Chelsea, Cromwell, Daisy, Deco, Dragonfly, Duchess, Eton, Peerless and the Victorian. With around 150 bespoke radiators in stock at any one time, we have one of the largest stock of ‘off the shelf’ cast iron radiators in the country. All our radiators are sold fully refurbished, pressure tested to 6 bar, and painted in a number of different colours to suit any living space. They are all also fully compatible with today’s modern central heating systems. 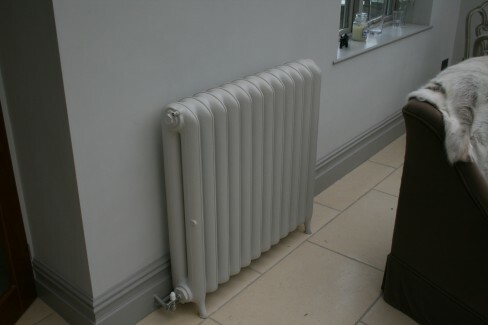 Of course, you can also design your own bespoke cast iron radiator in any style, colour and finish you require. Also sitting pride of place in our cast iron showroom are some stunning, roll top cast iron baths. We have a number of different styles, each with their own elegance from a bygone era, that provide a real sense of glamour to your bathroom. You can choose from our large range of exquisite designs, made with craft and precision that will complement all kinds of interior styles. Our four-acre site and yard is home to a massive range of reclaimed building materials, salvaged architectural antiques and interesting artefacts… and we also have a well-stocked stone yard and offer a bespoke stone masonry service so there truly is more than meets the eye. Why not pay us a visit? We’re based just off the M6 junction 31 on the outskirts of Preston. If selecting a reclaimed radiator you can choose from standard RAL colours to the more exclusive finishes from independent, British paint manufacturer Little Greene who have been painting cast iron since the late 18th century. You can also customise the style, size, finish and colour of your radiator by using our bespoke on-line radiator builder. Your radiator order will be made to your exact requirements and ready to despatch within 2 weeks. We have highly experienced staff, some of whom have been with us for over 20 years. 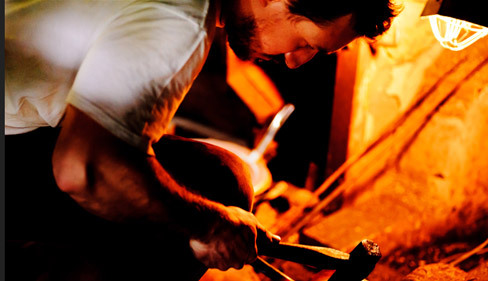 Our staff know the industry inside out and it’s this knowledge and setup that means we are perfectly positioned to offer the best reclaimed and reproduced cast iron radiators in the UK marketplace. Our staff are always on hand to answer any questions you may before you make your final decision. We are 5th left after the BP garage. What else do I need to buy with a Cast Iron Radiator?